Improve your productivity and bottom line with office cleaning services by the pros at HC Janitorial Inc. Call 8312474885 today! Whether you work in an office, retail store, factory, or medical facility, you need to work in the kind of clean surroundings and atmosphere available only through the services provided by HC Janitorial Inc. We have become the leader in the Santa Cruz, CA area for top-quality cleaning services provided at the region’s most affordable prices. At HC Janitorial Inc, we are completely dedicated to your total satisfaction. 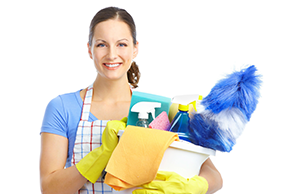 Our professional cleaning staff is reliable, thorough, and is attentive to every minor detail. We know it often is the details that can matter most. When you call on us at HC Janitorial Inc, you will be receiving top-level cleaning from a firm that has been successfully helping our commercial neighbors in Santa Cruz for nearly two decades. Contact the staff at HC Janitorial Inc and we will meet with you to go over your individual business and facility needs. Then we can tailor a cleaning program specifically to meet those needs and fit within your budget. We are available for 24-hour service and so can schedule our work around yours. For an unparalleled clean at budget-friendly prices, call Santa Cruz’s most reliable professionals at HC Janitorial Inc for an initial consultation and free estimate.